"Creative Fab & Welding has been a trusted supplier to our company since 2011. In addition to reliable fabrication of our welded-products, they have also become our primary resource for custom work, such as tanks and racking. 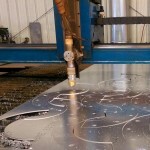 Experience, knowledge and outstanding service have made Creative Fab & Welding one of our most valued partners." "Being a small business owner myself, I have been impressed by the support, service, and quality of workmanship that I have received from Creative Fab & Welding. It has been refreshing to see the hard working efforts of this family ran business build a company that is honest and trustworthy." Copyright © 2015-2017 - Creative Fab & Welding. All rights reserved.